One of the most fun things I get to do involves presenting film-music events for the American Youth Symphony, one of the country’s finest ensembles of young musicians. Saturday night, at UCLA’s Royce Hall, they performed — under the baton of the brilliant music director David Newman — the entire score for Back to the Future, live to picture. It was a pleasure to conduct the pre-concert Q&A with writer-producer Bob Gale and composer Alan Silvestri, both of whom were informative and funny in discussing their work on the 1985 classic starring Michael J. Fox. The feeling in the sold-out hall was positively electric, and those involved with the event said that they had never seen such an enthusiastic response to Back to the Future – Live in Concert. 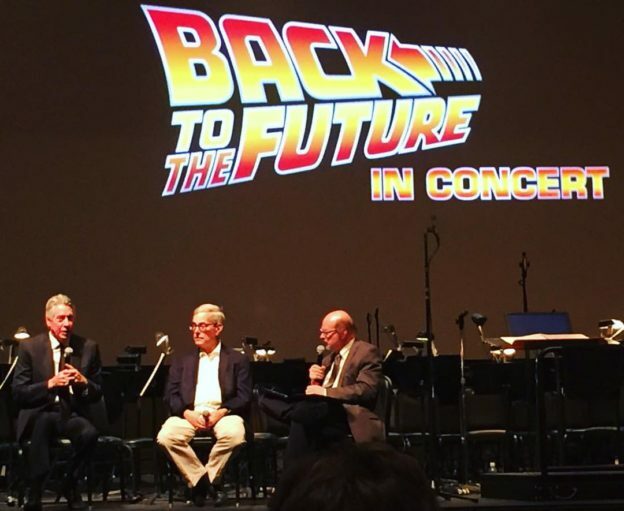 This entry was posted in and tagged Alan Silvestri, American Youth Symphony, Back to the Future, Back to the Future in Concert, Back to the Future Live in Concert, Bob Gale, Royce Hall on November 13, 2016 by Jon Burlingame. 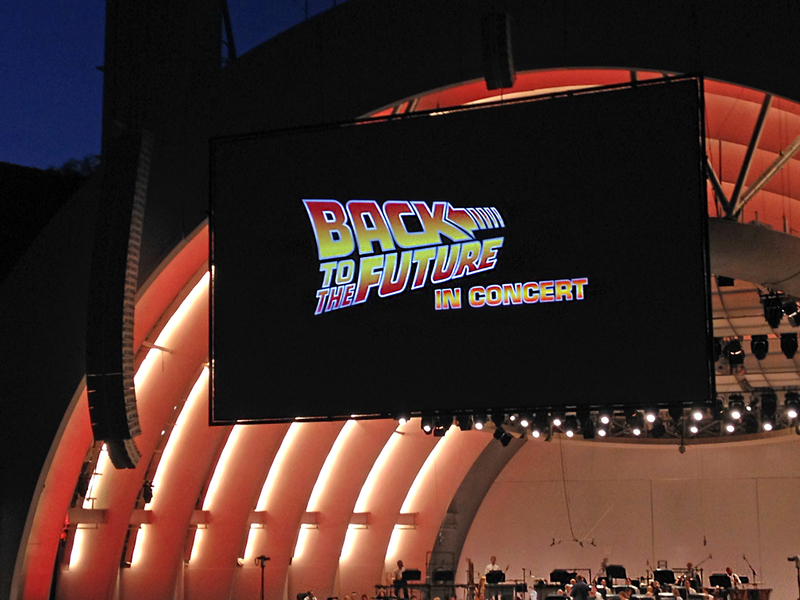 Talk about a fun assignment: Last night, the Los Angeles Philharmonic played Alan Silvestri’s music for the 1985 film Back to the Future “live to picture,” with the estimable David Newman conducting. It was a near-sellout with more than 16,000 people attending, and the crowd cheered every iconic moment in the time-travel romp starring Michael J. Fox. I interviewed the composer about his memories of scoring Back to the Future — which was only his second opportunity to write for orchestra — and why he wrote another 20 minutes of music specifically for these live presentations. This entry was posted in Composers, Film Music, Interviews and tagged Alan Silvestri, Back to the Future, Back to the Future Live, Back to the Future Live in Concert, David Newman, Film Music Society, Hollywood Bowl, Los Angeles Philharmonic on July 1, 2015 by Jon Burlingame.